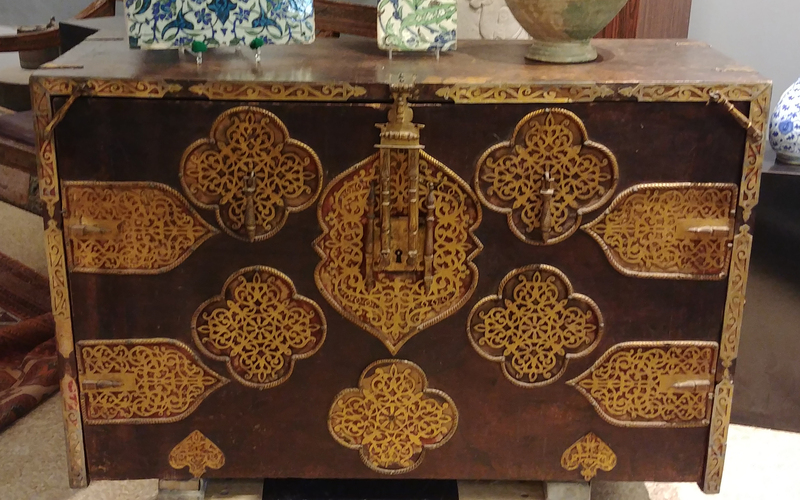 A Spanish Moorish travel chest (Vargueno), carved, gilded wood, and painted bone with wrought iron. 17th century. 4' x 3' x 18"